In one generation, Israel is now described as a people who do not know their God, and do not know His works. Thesis: It is possible to know and experience the blessings of God and yet, fail to pass our faith along to the next generation. We live in a society on the brink of an internal collapse. God has blessed the nation of America. The churches in America have been blessed equally so, and yet the world suffers because the church is not what it is supposed to be. Question to consider: If Lighthouse Baptist Church disappeared today, would the community know it was gone? The church isn’t what it is supposed to be because families are not what they are supposed to be. The family is not what it is supposed to be because fathers are not what they are supposed to be. Dad’s are the element that must be used to change the world; to glorify our Lord and Savior. Unfortunately, too many fathers have turned over their responsibilities to their wives. What’s the answer? First, men must have a relationship with God through the Gospel of Jesus Christ. Second, men must live by faith, under the control of the Holy Spirit. Statistics show that children are more likely to have the faith of their father. The best way to improve our children is to improve ourselves. A great fear every dad should have is that they only allowed their children to see the church, not Jesus. Jesus should be our North Star. We may waver, but if He is our North Star, we will always remain on course. Husbands are to be the leader by God’s sovereign design and a lover by an act of will. We are the stewards of our wives and we are accountable for them. It is not a dictatorship. Biblically, our love for our wives is not something we feel, it is what we do. As Christ loved His church. He gave Himself for her. Kids watch their dads. They know what we’re sincere about. If we are different at church than at home, they recognize it. Sunday is not enough. The children and youth ministries were not designed to replace dad. One child said, “I don’t need church, it didn’t help my dad — it might make me like him.” Our children need more; we are giving them less. Points for how to help pass our faith to our children. 3. More is caught than is taught. Inconsistency breeds hypocrisy. 4. Show affection – slobber all over them. 7. Love your kids. Enjoy them. Give up something for them. Sell what’s in the way. It’s just stuff. Let’s not be a generation like the one recorded in Judges chapter two. 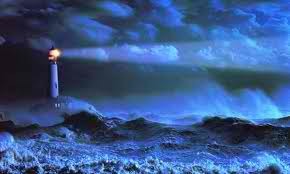 This entry was posted in Lighthouse Notes and tagged Christianity, church, faith, inspiration, Jesus. Bookmark the permalink.